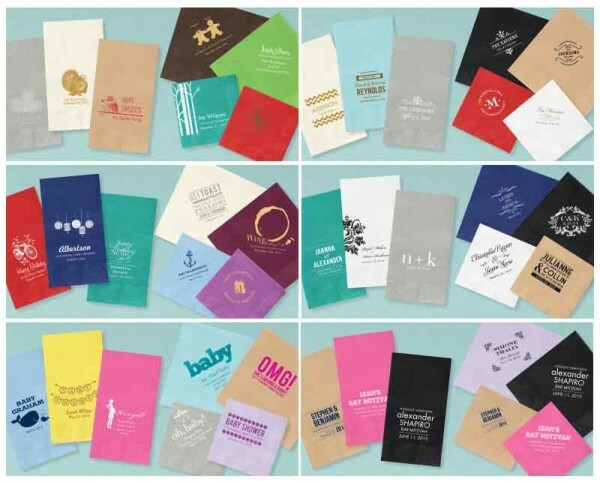 Accent your next special event with our new assortment of personalized napkins. Featuring exclusive designs for holiday parties, baby showers, wedding events, bar mitzvah and bat mitzvah, graduation and other special events and parties. Each style available as a cocktail napkins, lunch napkins or guest towels. 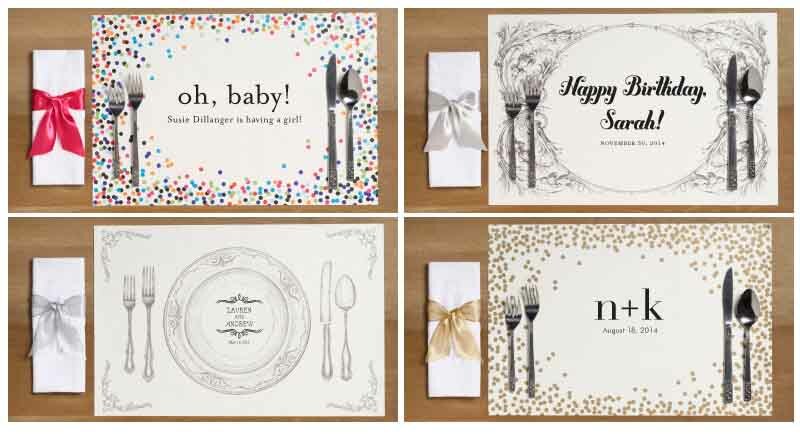 You can also add a touch of elegance, retro styling or a colorful accent to any party with any of our new personalized placemat designs. 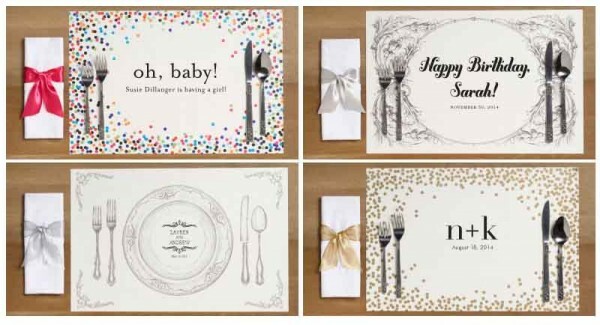 Opt for confetti stylings, vintage flatware or Italian illustrations to make your place settings truly exceptional. Either option is sure to make your next party pop with personality. I have ordered them from you before. Hi Lendy – Unfortunately, we no longer carry personalized placemats. So sorry for the inconvenience!